When dating single women over 40, different thing should be given attention to keep and nourish the relationship. Understanding her needs, given her stage in life, is critical. If they have children, you need to maintain a good relationship with them as well. How exactly can this be done? Keep on reading and we will provide you with insights on some of the things that you can do to have a good relationship not only with the woman you are dating but even with her children. Patience is one of the important things that you should have in over 40 dating of women with children. She is going to most likely prioritize her children. In addition, she will also most likely consult the opinions of her children, especially if they are old enough to give her valuable insights when it comes to dating. Dating after 40, especially for single women with children, requires the need to get involved with the people who matter in her life. With this, you should have an interaction with her kids. Know their hobbies and do it with them. Invite them for dinner or to just hang out during your dates. Women will surely appreciate your efforts to get to know her and her children. This is, an indication that you accept her for whatever she is and this will also help you to get the nod of the kids. Whether you like it or not, if you are dating single women over 40 with children, you have to change the way you behave. If you often curse or tell stories with sexual references, you should change. 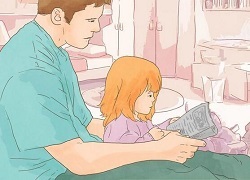 You should project the image of a good father if you are really serious about the relationship. Be someone, the kids, will look up to. Always act in the same way that you will behave when you are in the presence of elders. Especially when children are old enough, they will most probably scrutinize you. With this, another good advice in over 40 dating of women with children is to stay as sincere as possible. Be true to yourself, to the woman you are dating, and to her children. You will be judged based on how you behave. Especially when the kids are already teenagers, they will exert more effort to see how sincere you are with their mother. It is natural for them to be protective of their mom, and hence, they would want her to be with a man who won’t break her heart. Be the best man you can be while being sincere.